With less than a week to go until voters in the Heywood and Middleton constituency go to the polls in a by-election on October 9, we are urging those who have registered for a postal vote to send it back as soon as possible. With less than a fortnight to go until residents in the Heywood and Middleton Constituency go to the by-election polls, Rochdale’s Member of Youth Parliament is encouraging all of the electorate and especially young adults in the area to make their voice heard and cast their vote. Residents in the Heywood and Middleton constituency are being reminded that they must register to vote by Tuesday, September 23 otherwise they will be unable take part in the upcoming parliamentary by-election. 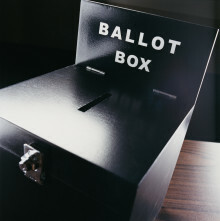 Voters in Middleton and Heywood are set to go to the polls next month to elect their new Member of Parliament (MP).